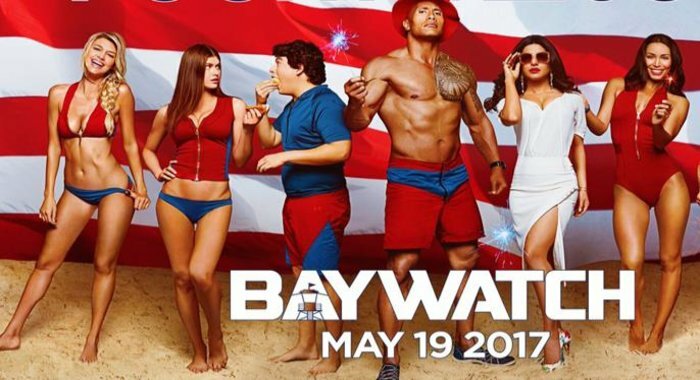 Baywatch is an Upcoming Hollywood Film in 2017, It is Action, Comedy Film and Dwayne Johnson, Priyanka Chopra in lead roles. This film is Directed by Seth Gordon and Produced by Ivan Reitman, Tom Pollock. It is made under the banner of Paramount Pictures. Baywatch is scheduled to release on 26 May, 2017 (USA). Principal photography on film began on 22 February 2016, in Deerfield Beach, Florida, with the setting in the Broward County, Florida, while the TV series was set in Malibu, California. Movie was shot in Miami & Savannah, Georgia. In late March 2016, filming started shooting in Tybee Island, Georgia. Storyline: Lifeguard Mitch Buchannon (Dwayne Johnson) and a brash new recruit (Zac Efron) uncover a criminal plot that threatens the future of the bay. In the trailer, Priyanka is seen in just one scene for only 1 second. Priyanka's look less in the trailer, her fans are quite disappointed. Priyanka Chopra's criticism was also taken by this. Priyanka has asked her fans not to be disappointed, because she will be completely seen in the film. Priyanka will be seen in a negative role in the baywatch movie.